Share and open up floor space with the convenient Wall Rack. This wall mounted bike rack is developed with a simple structural design to provide efficient storage for bicycles in areas with space constraints. Constructed with 1"O.D. 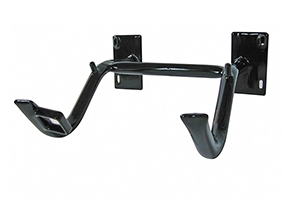 11-gauge steel tubing, the wall mounted rack is finished in a durable black PVC Dip to protect bikes from scratches or scuffing. 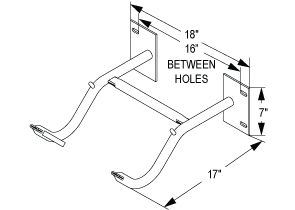 The Wall Rack provides off the ground storage for 1 to 2 bikes that is U-Lock compatible. The Wall Rack is great for residential or commercial use.